There are 137 million Netflix users worldwide. Netflix released many original movies throughout 2018. These four Netflix movies have broken records, were the most re-watch Netflix movie of 2018 and were the most nominated Netflix film of all time. The Kissing Booth is a popular teenage romance Netflix movie that came out on May 11, 2018. This popular movie is about two best friends, Elle Evans and Lee Flynn. These two best friends been friends since birth. With being best friends for 16 years they had some rules. One of the rules was Evans can’t date Flynn’s older brother, Noah Flynn. One night at a kissing booth at a school carnival Evans and Noah Flynn kiss and it changed everything. This movie is based off the book The Kissing Booth by Beth Reekles. This movie was one of the most re-watch movie of 2018. According to Netflix, 50% of the viewers who watched this movie once, watch it at least one more time. 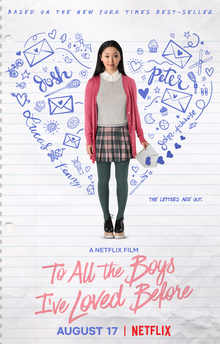 To all the boys I Loved Before is another popular teenage romance Netflix movie that came out on August 17, 2018. This movie is about an teenage girl, Lara Jean. Jean never had a boyfriend before, but wrote letters to all her crushes and kept them in a box. One night Jean’s little sister sent out the letters hoping her big sister will get a boyfriend. One of the letters went out to her seventh grade crush, Peter Kavinsky. Kavinsky is one of the popular boys in her high school who just broke up with Jean former best friend. Wanted to make his ex jealous, Kavinsky and Jean entered into a fake relationship. 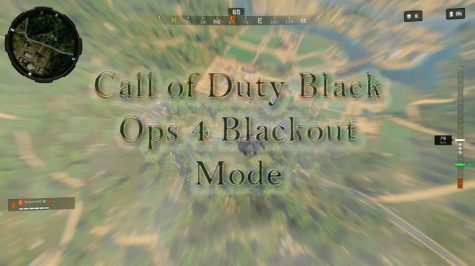 This movie sequel is coming out in 2019 on Netflix. Based on the movie popularity, a sequel is coming out on Netflix in 2019. This movie is also based off of a book called, To all the boys I Loved Before by Jenny Han. Just like The Kissing Booth, this movie was one of the most re-watch movie of 2018. According to Netflix, 50% of the viewers who watched this movie once, watch this movie at least one more time. Bird Box is an thriller Netflix film that came out on December 13, 2018. Before I give a summary, this movie is rated R and is not appropriate for children. This movie is rated R because there’s suicide throughout the movie. Malorie Hayes, a single mother, is hiding in a house with her two children, boy and girl and her boyfriend Tom. The family is hiding from the world because when people look outside they want to end their life. When getting a notification that there’s a safe community down the river the family goes to find the safe community. To protect them from wanting to end their life, they put blindfolds on and goes on their journey. In addition, this movie was based off a book called Bird Box by Josh Malerman. Within 7 days 45,037,125 people who have Netflix accounts watched Bird Box. This is the best first 7 days Netflix ever had with an original Netflix film. Roma is a drama Netflix film that came out on November 21, 2018. This movie is rated R and is not appropriate for children. This movie is rated R because there is some violence in the movie. Roma is about Cleo Gutiérrez life in 1970. Gutierrez is a maid to a middle-class family in the Colonia Roma neighborhood in Mexico City. The whole movie is about Gutierrez drama filled life in that one year. In addition, this movie is based off an book, Roma by Steven Saylor. This movie was nominated for 3 Golden Globes. The movie won Director of a Motion Picture, and Foreign Language film. Lastly, this movie was nominated for many other awards.